Pupil and assistant May 1794 - September 1808. Henry Hake Seward with Thomas Sword. Information from Soane office Day Book. Pupil January 1799 - 1804. 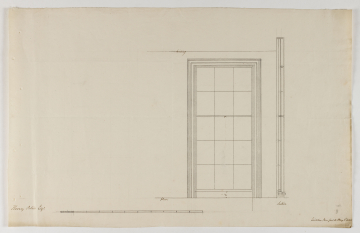 Drawing  (made on the same day as the drawing catalogued here) has one of the two windows to Mr Peters' room sketched- in, presumably by Soane who also added a sketch design for a porch to the nearby front door.